Bulky stands and huge rolls of rope can take the fun out of hammocking. With Grand Trunk's tree straps, you can quickly and easily hang your hammock anywhere you want, whenever you want - without the hassle. These colorful and versatile trunk straps let you hang your Grand Trunk hammock wherever you'd like and from nearly any anchor point. Bulky stands and huge rolls of rope can take the fun out of hammocking. With Grand Trunk&apos;s tree straps, you can quickly and easily hang your hammock anywhere you want, whenever you want - without the hassle. These colorful and versatile trunk straps let you hang your Grand Trunk hammock wherever you&apos;d like and from nearly any anchor point. #HangAnywhere with these tree-friendly hammock straps and bring freedom, spontaneity, and fun back into hammocking. 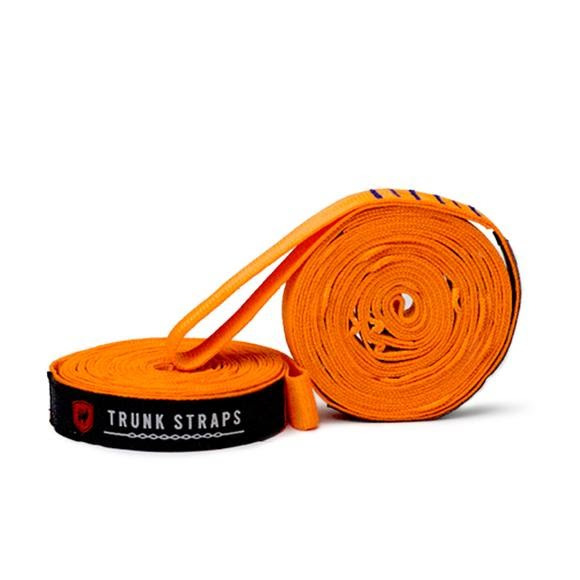 Grand Trunk&apos;s tree straps are available in a variety of bright and neutral colors to mix or match with your hammock. Get yours today.